Cartridge yields approximately 540 pages. Quick-drying formula for resistance to smudging and bleeding on all media types. 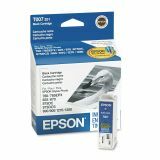 Epson T007201 (07) Intellidge Ink, Black - Use ink cartridge with the Epson Stylus Photo 780, 825, 870, 875DC/DCS, 785 EPX, 890, 900, 1270 and 1280. 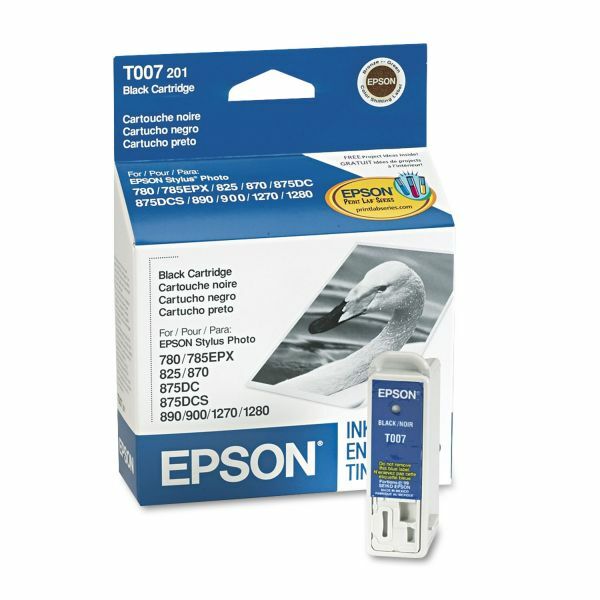 Quick-drying, acid-free ink offers superior resistance to bleeding and smudging on all media types.